We Make The Sparkling Difference! Call us and try it out for a month. No contract. No risk. No Hidden Fees. All chemicals included: Chlorine, tablets, acid, conditioner etc. No charge for extra service. Weekly service as needed. Minimum service by technician every two weeks. 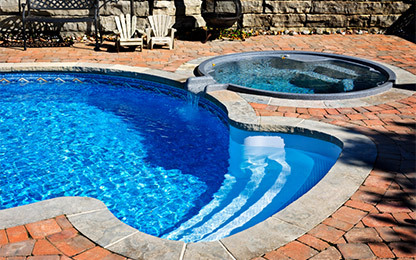 We provide more pool chemical service than any other company in town. The high alkalinity and dry weather in Southern Nevada makes it difficult to maintain swimming pool water. Let the professionals handle your pool care so you can focus on enjoying time with the family. 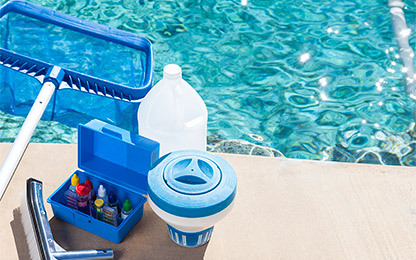 Talk to Pool Chlor today about all our solutions for pool chemical service in Las Vegas.